The B&B had all the charm of old New Orleans. Our upstairs rooms were lovely. My daughter and I were comfortable and felt very well taken care of. Raynell couldn’t have been nicer. We would definitely return. We loved our stay in New Orleans. 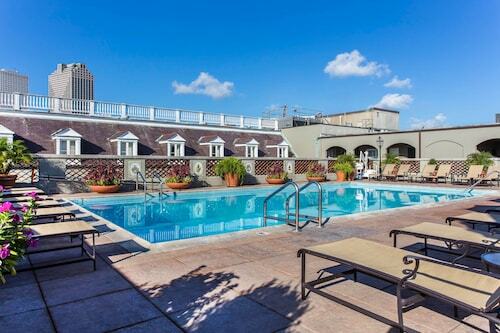 Airy One Bedroom on the Mardi Gras Parade Route! 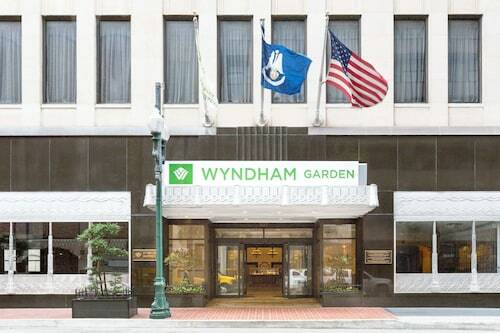 Do Mercedes-Benz Superdome, The National WWII Museum, Jackson Square, Audubon Zoo and Audubon Park all sound like a good enough reason to take a vacation? They're all waiting for you in Garden District. So are 7 Orbitz hotels, which rate highly for Location and Hotel Staff. Enjoy cocktails or challenge the locals to a dance-off at Avenue Pub, Swizzle Stick Bar and The Metropolitan Nightclub. Garden District's bars and clubs are on hand for pre-dinner drinks or a nightcap. Orbitz offers some great deals all year round, but you can really stretch your travel budget during August, June and July. These months offer respective savings of about 31%, 31% and 29%. There are plenty of ways to get out and enjoy yourself in Garden District. The rides, games, and concession stands at Mardi Gras World are good places for squeezing in some fun. If stress-busting is more your thing, Audubon Dermatology is an oasis of relaxation and pampering. If you're looking for something fun to do with the whole family, kick back in the theaters at Zeitgeist Multi-Disciplinary Arts Center to see action-filled stories play out on the silver screen. Mercedes-Benz Superdome opens its doors to sports fans, offering concerts or a dose of althletics alongside sweet and savory treats. Louis Armstrong New Orleans International Airport is the main hub for flights into Garden District and the surrounding area. Anthropology, history, fine art — there's no limit to what museums can offer. Enjoy an educational and fun afternoon in Garden District at The National WWII Museum, Cabildo and House of Broel. The books in Amistad Research Center offer a taste of culture and learning. Ideal Nola Staycation Walk Everywhere / Off-street Parking / Modern Charm!